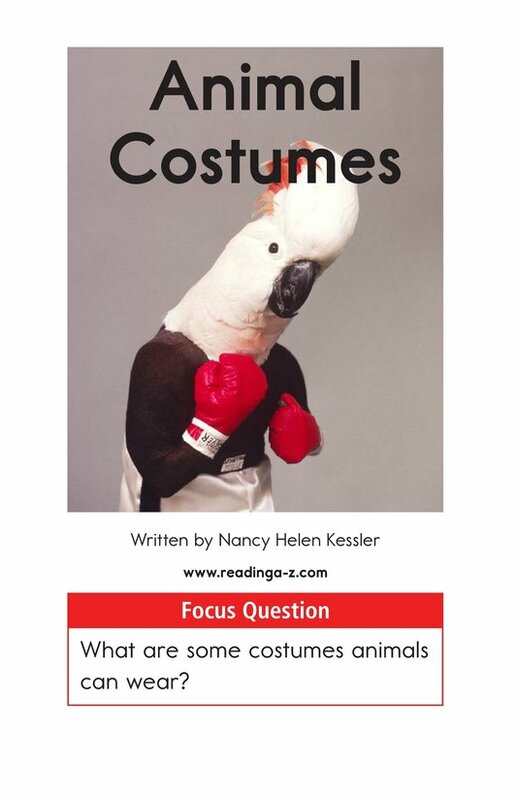 Have you ever seen an animal dressed in a costume? 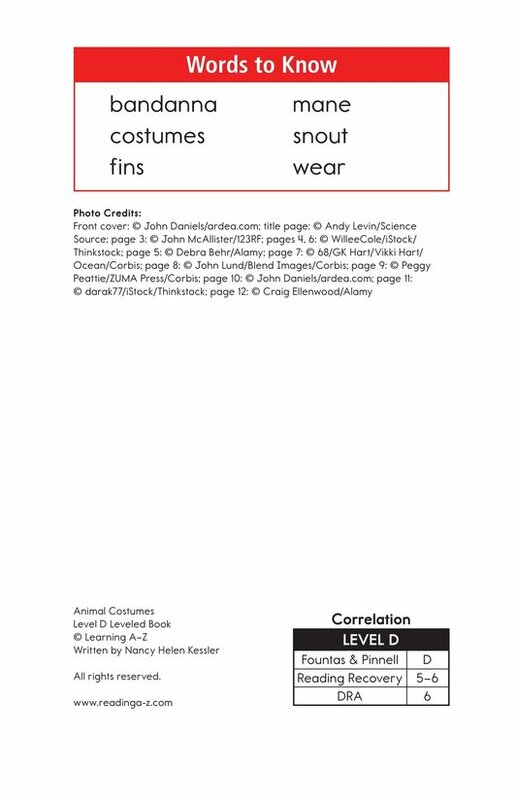 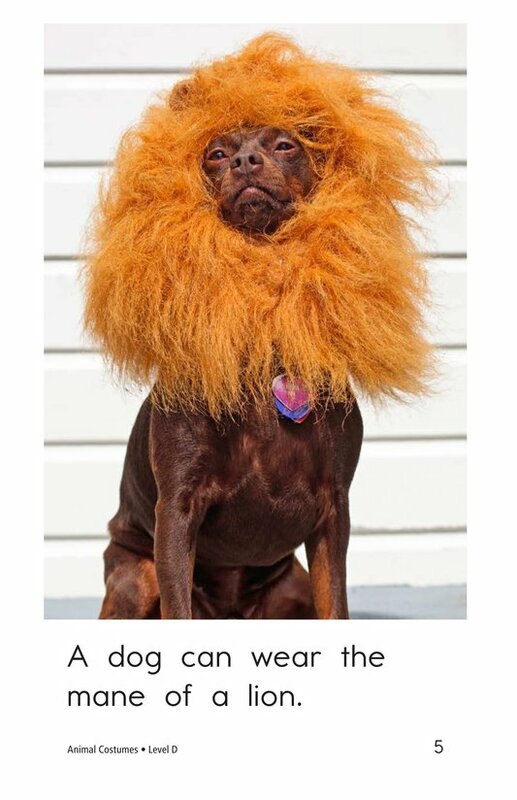 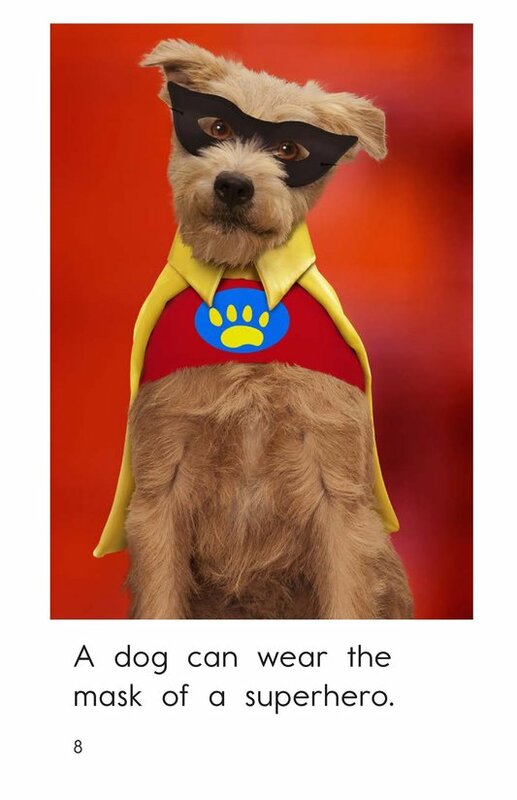 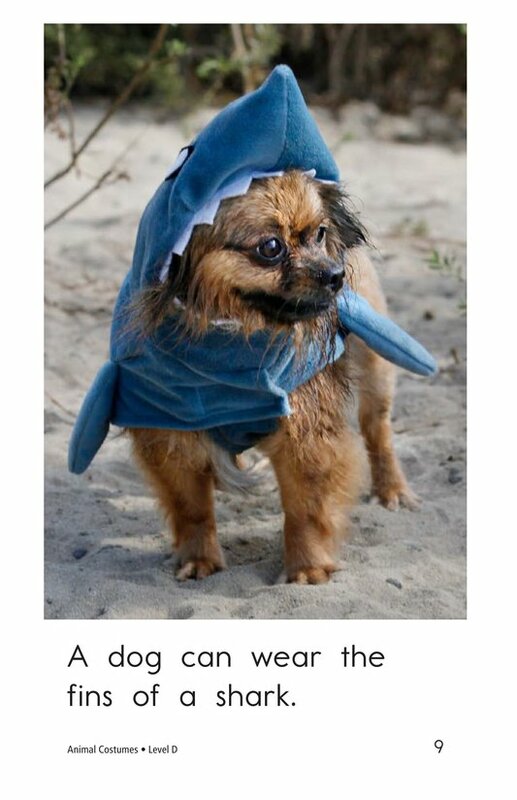 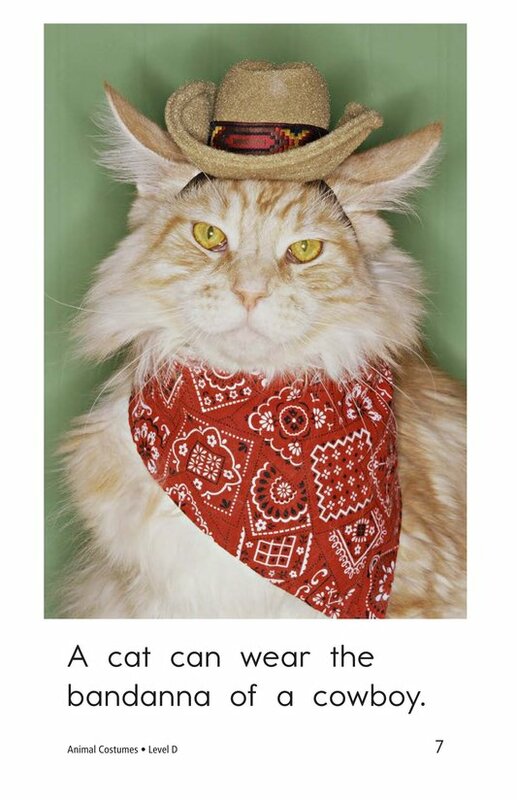 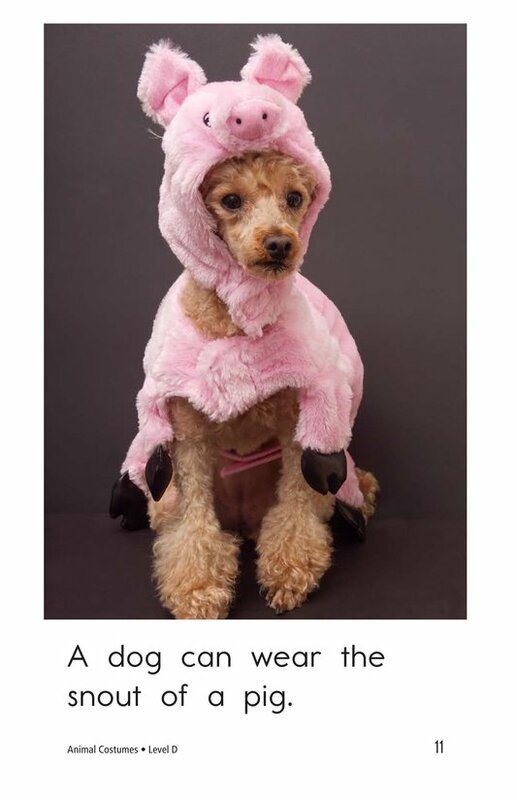 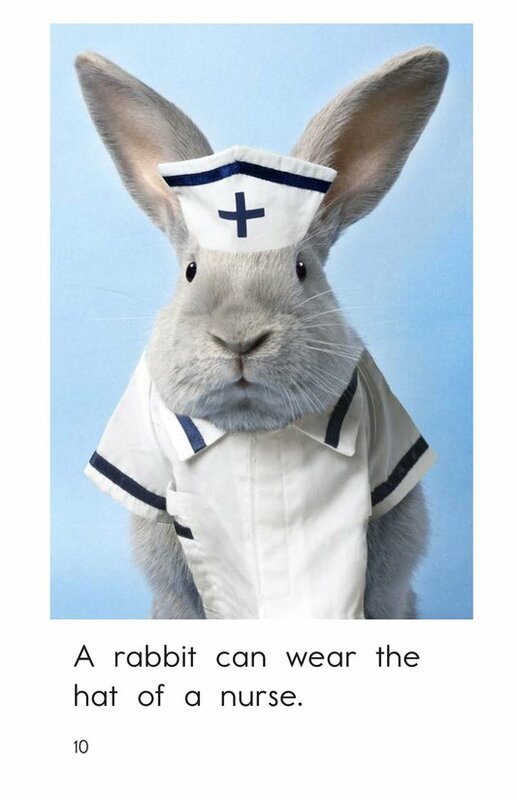 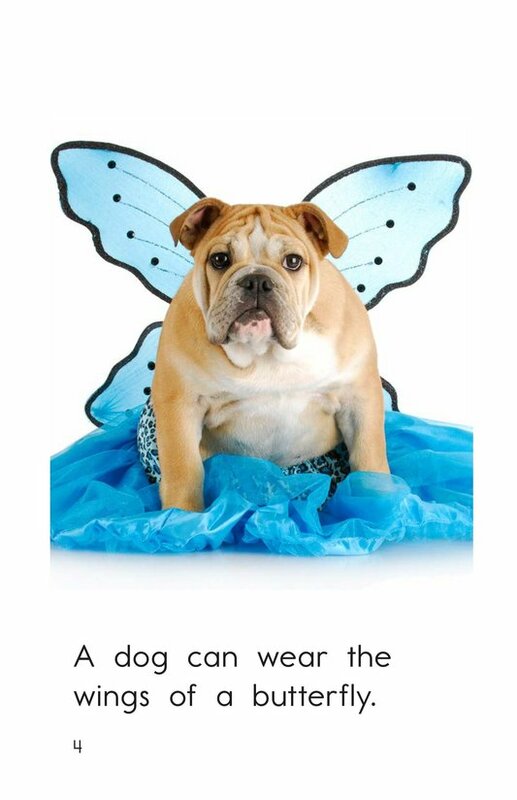 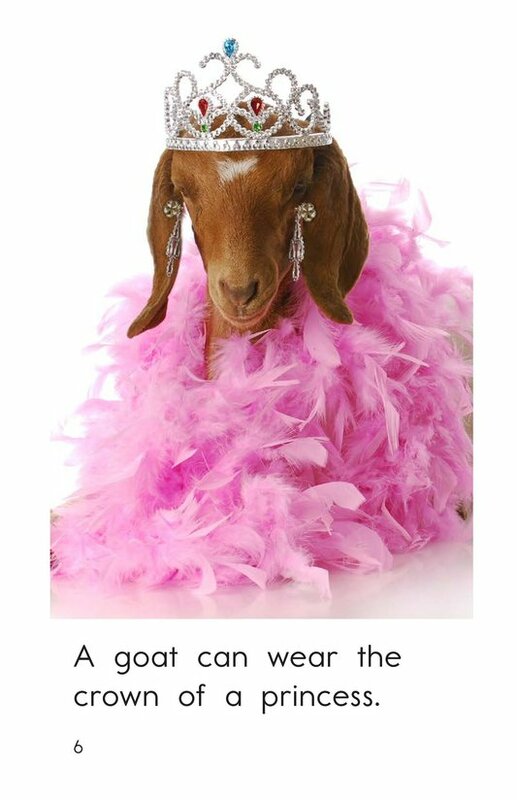 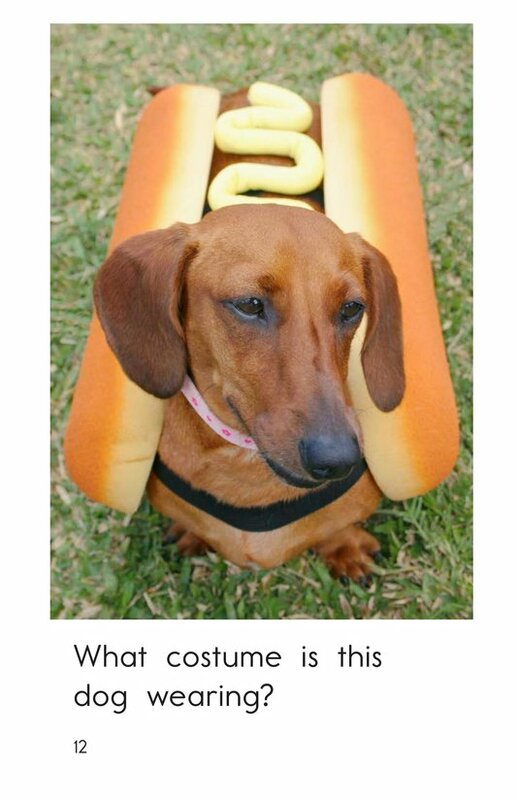 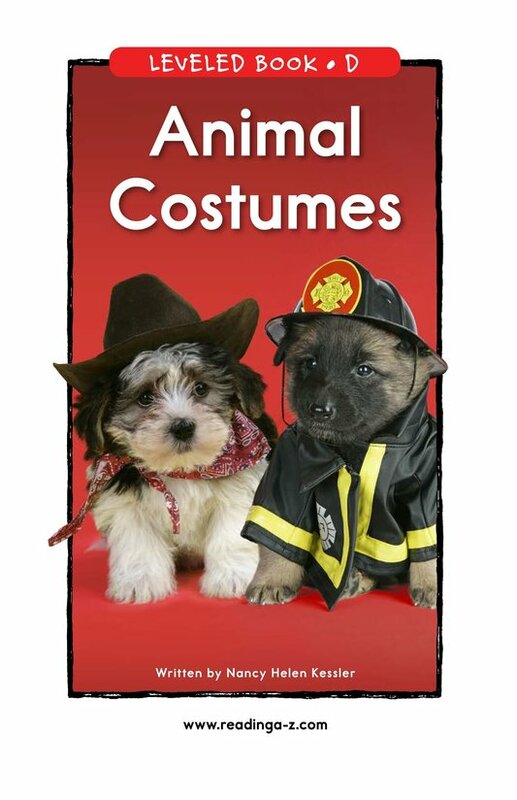 In Animal Costumes, students will gain information about animals and the types of costumes they wear through humorous photographs. 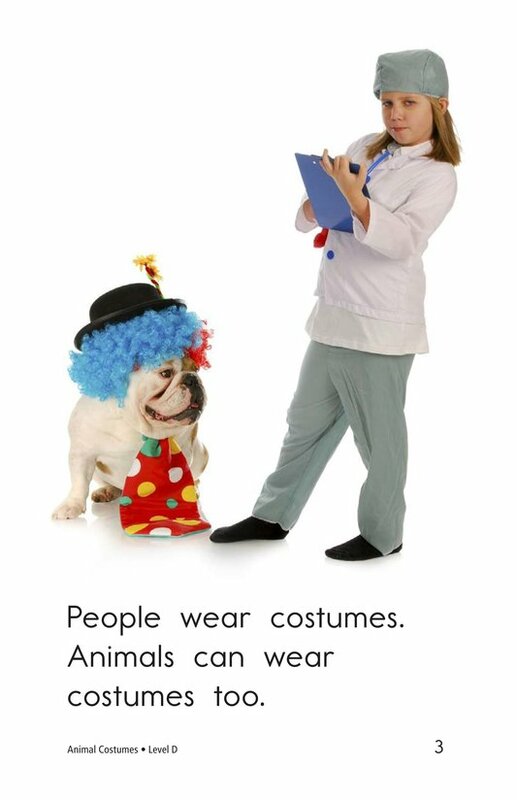 Emergent readers will be supported by repetitive sentence patterns and high-frequency words. 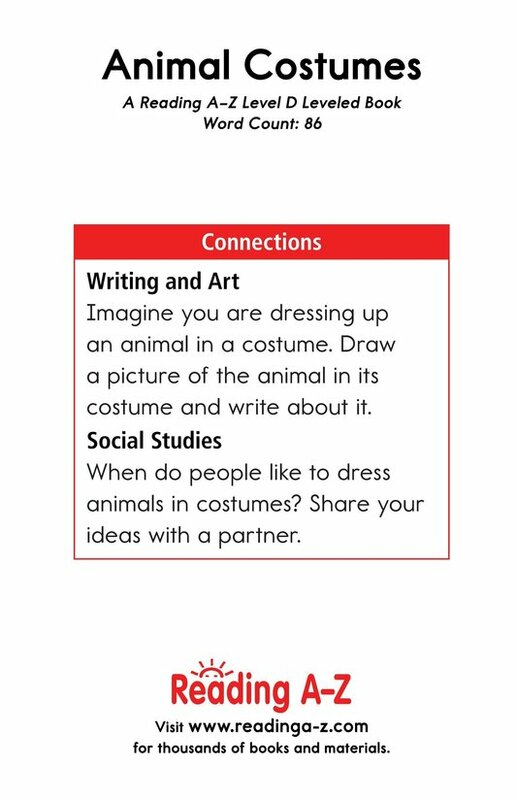 While learning about this interesting topic, students will have the opportunity to identify the author's purpose, as well as to recognize simple subjects as they read this book.